We hear you—raising kids is hard. As a parent, you face endless expectations and unattainable standards every day. Friends, grandparents, and even strangers on the internet try to tell you exactly how to raise your kids. And if you don’t do it just right, you could start to feel like you’re messing them up. But guess what? Those expectations and ideals aren’t what matter most. Find out what really makes a difference for your kids at Smart Parent. You’ll learn you’re not as far off as you think from a close and connected relationship with your child. Ramsey Personality and best-selling author Anthony ONeal speaks to thousands of youth across the nation every year. He’ll be joined by Dr. Meg Meeker, the country’s leading authority on parenting, teens, and children’s health. Together, they’ll help you simplify your parenting journey and equip your children for life. You’ll walk away from this one-of-a-kind event with the plan that will help you get a deeper understanding of what your kids actually need. It’s time to step back into the joy of raising the next generation. 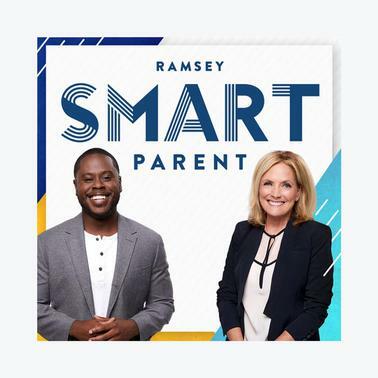 Purchase general admission seating to the life-changing Smart Parent event.